1861? : C.H.Chadburn, 71, Lord Street, Liverpool, had a second address at Albion Works, Nursery, Sheffield. 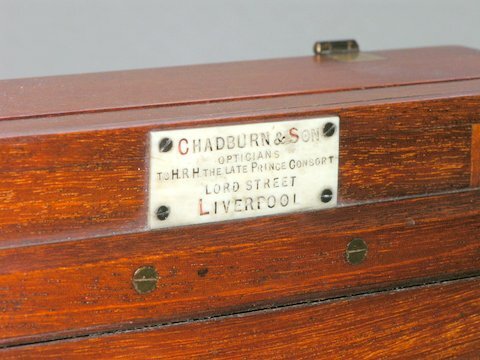 This camera carries the nameplate "Chadburn & Son, Opticians to HRH The Late Prince Consort, Lord Street, Liverpool." 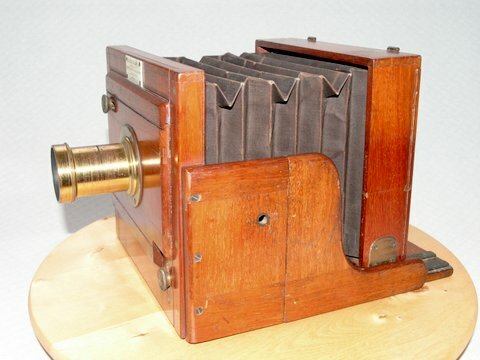 Prince Albert died December 1861, so this camera was probably made then or shortly thereafter. Channing and Dunn know of Chadburn as a camera maker through a single advert in The Liverpool Photographic Journal of February,1858. It is not known when he ceased trading. 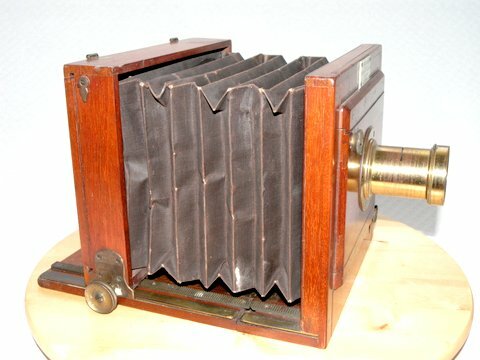 The camera is of sound dovetailed construction, with inset brass where necessary, but has paper bellows, which seems to me to be an economy too far on an otherwise high quality camera.